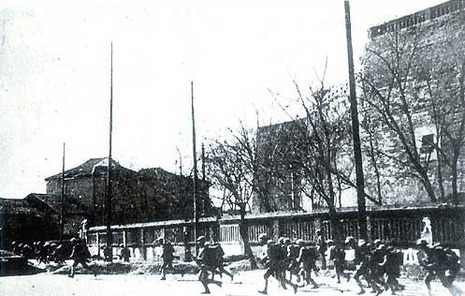 After two years of near stalemate, Lieutenant General Seishiro Itagaki led the Japanese 101st and 106th Divisions to Changsha, the capital of Hunan Province, while the 3rd, 5th, 6th, 13th, and 33rd Divisions invaded the general northern Hunan region to assert additional pressure against the city. The Japanese forces totaled 100,000 men, commanded from the field by Yasuji Okamura. Two of the primary motivating factors for the Japanese in launching the attack were the signing of a non-aggression pact by their German ally with their Soviet enemy, and their defeat by Soviet forces at Nomonhan. A large attack on Chinese would therefore restore morale.